Comment: In his commentary on this familiar Transfiguration Sunday passage about Moses, Rev. Archie Smith, Jr. concludes that “preparing to be a faithful bearer of God’s word involves alone time with God,” and Moses’ “aura…comes from standing in the presence of the Divine.” Moses is physically transformed when he is in the presence of God. Time alone, one-on-one, is transformative and something to be desired by all of God’s children. While with God on Mt. Sinai, Moses received instructions and prepared himself to be a bearer of God’s word to the people Israel. As a church we have a responsibility to teach our congregations how to spend time with God, how to listen for God’s instructions, and how to prepare to bear the Word in the world. Pray to God is written for the youngest but is relevant to the oldest members of our congregations. 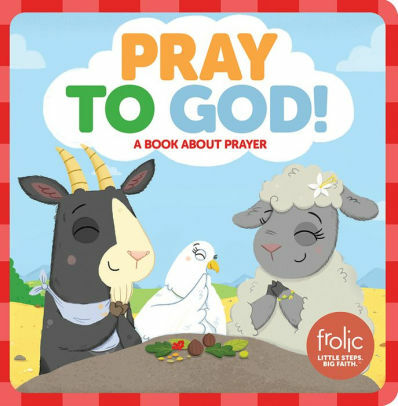 The short board book reminds us that we “can talk to God in any way, at any time, about anything…” Hopefully, in learning to talk to God through prayer, we’ll also learn to listen for God’s instruction, too. Comment: One morning Pete wakes up to discover it has snowed and he’s home from school. Then it continues to snow and he quickly realizes that too many snow days makes one weary. Pete misses his friends, teacher, and school but is unable to get to school because the roads are covered in lots of snow. 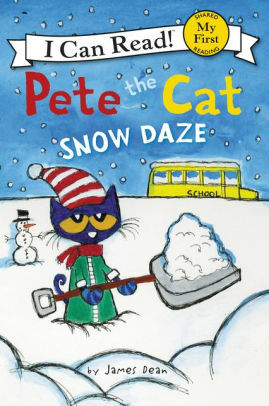 In a bold move, Pete begins to plow the streets by himself and other cats pitch in. Eventually everyone is able to return to school because the roads are cleared, and all of the cats are happy! In this letter, the Corinthians are reminded that they can’t remain on the mountaintop and become satisfied with the status quo. Rather, we are all being transformed into action through the glory of the Lord. Verse 12 says, “Since, then, we have such a hope, we act with great boldness, not like Moses, who put a veil over his face to keep the people of Israel from gazing at the end of the glory that was being set aside.” No, living in the Spirit of the Lord produces freedom, and we are to commend ourselves to the concerns of everyone else. Pete could have stayed put, but his desire to return to his friends at school compelled him, so he acted. When Pete acted, others saw and acted, too. Because of Pete’s boldness, others were coerced and ultimately everyone benefitted. In both Pete’s story and the Corinthian letter, we are reminded that we have the capacity to inspire and transform others. Comment: Taking a different twist on the Transfiguration narrative, the Thank You Book emphasizes the importance of simple words, such as “listen.” We can safely assume that the voice in the cloud is God who is instructing us to listen to Jesus. There are two instances in the Luke version of the Transfiguration story that speak to listening – on the mountain and upon the healing. On the mountain, a voice from the cloud declares to Peter, James, and John: “This is my Son, my Chosen; listen to him!” Later in the passage Jesus rebuked the unclean spirit and the ill boy was healed. In Willem’s book, Piggie declares that they are going to thank everyone, to which Gerald replies in confusion, “Everyone?” Gerald is afraid Piggie will forget someone and tries multiple times to inform Piggie that they have in fact forgotten someone. Piggie won’t listen to Gerald, but when they do, Piggie is embarrassed at who they’ve forgotten. At the end we see that Piggie is grateful. This book could be used in two ways: to express the transforming power of words (as we see in the healing), or to express the importance of listening. Either way, the story reveals a character who is transformed by their partner and by their reader. Lectionary Links (RCL): March 3, 2019 by Storypath is licensed under a Creative Commons Attribution-NonCommercial 4.0 International License.